From the Shadows: A Journey of Self-Discovery and Renewal by Elizabeth Onyeabor is an uplifting and heartrending book of healing, transformation, renewal, and growth. The author’s feelings, thoughts, perspectives, childhood and adulthood sketches from memory and notes have been shared beautifully through vignettes and verse. The book offers key points, suggestions, and poses questions to readers so that they can contemplate their own journey of self-discovery. The different sections of the book deal with different periods of the author’s life and her different emotions. Her feelings of sadness, loneliness, pain, depression, and suicidal thoughts have been discussed intimately, and her story is finally that of hope, redemption, understanding, love, and recovery. I like the way the author opens up honestly about all the stages of her life. The idea of having prose, journal entries, and poetry together is innovative and makes the book unique and refreshing to read. 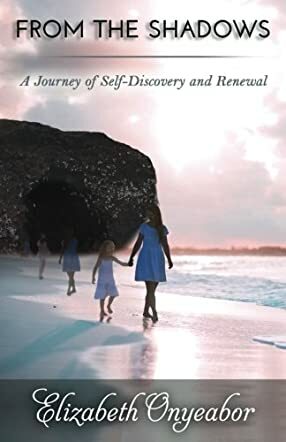 The author has written her story very neatly, without being too dramatic, and her personal experiences give a sort of comfort and solace to many, especially those who are undergoing similar journeys. Her personal journey is tangible and identifiable and will definitely give strength to many readers out there. This book will inspire everyone to learn and grow, and find out how self-discovery and renewal can actually lead to self-love and lasting happiness. The author discusses spirituality and spiritual perfection along with other factors. Reading this book is good for all those who want to rediscover themselves, examine their own anger-depression connection, and help themselves to become responsible for their lives.